What are the popular places to visit in Connecticut? The state of Connecticut borders Long Island Sound to the south, New York state to the west, Massachusetts to the north, and Rhode Island to the east. Despite being the third smallest state in the US, Connecticut features diverse landscape. 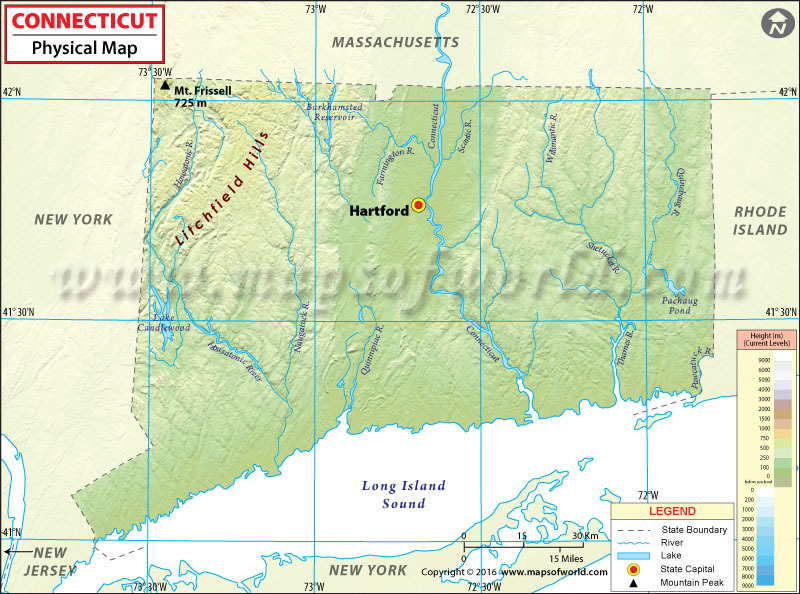 Litchfield Hills region is located in northwestern Connecticut. The region features rolling mountains and rural scenery. The state consists of temperate broadleaf and mixed forests of oaks, beech, hickories, and more. These forests give way to larger New England-Acadian forests which cover the Taconic Mountains. The highest mountain summit in the state is Bear Mountain with an elevation of 708 meters. The mountain is on the Appalachian National Scenic Trail. However, the highest point in Connecticut is a few meters taller, located on the southern slope of Mount Frissell − which, in fact, is in Massachusetts. The Connecticut River flows through central Connecticut and empties into Long Island Sound. The Central Naugatuck Valley also flows through the region between Thomaston and Beacon Falls. The coastal area in Connecticut features marshes, beaches, and large-scale maritime activities. The Connecticut panhandle is in southwestern portion of the state along the border with New York state. The Housatonic River is the main watershed in the region.